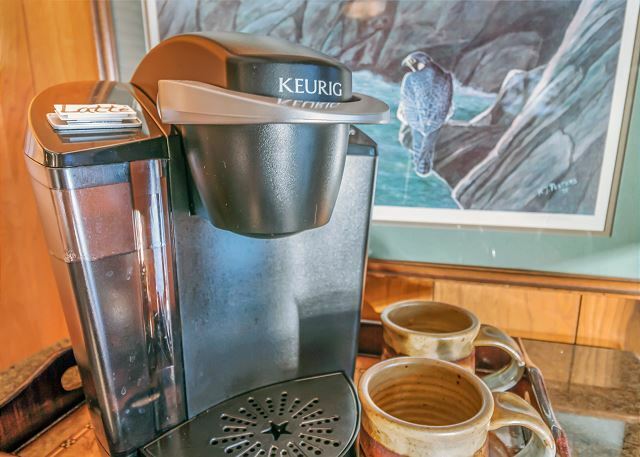 Enjoy your morning cup from these two comfortable Captains chairs. 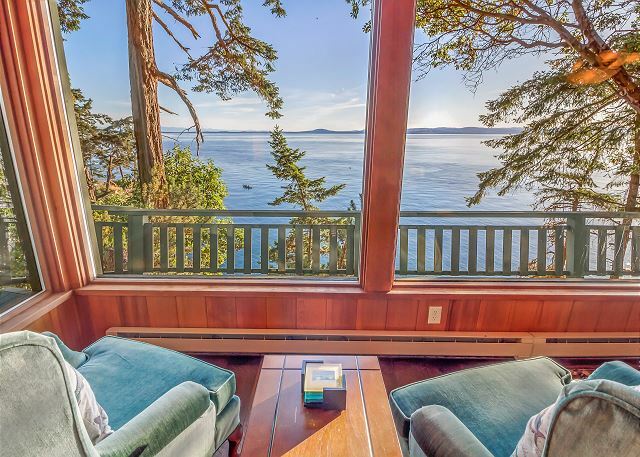 Located on the pristine "westside" of San Juan Island. For safety reasons, fireplace not for guest use. 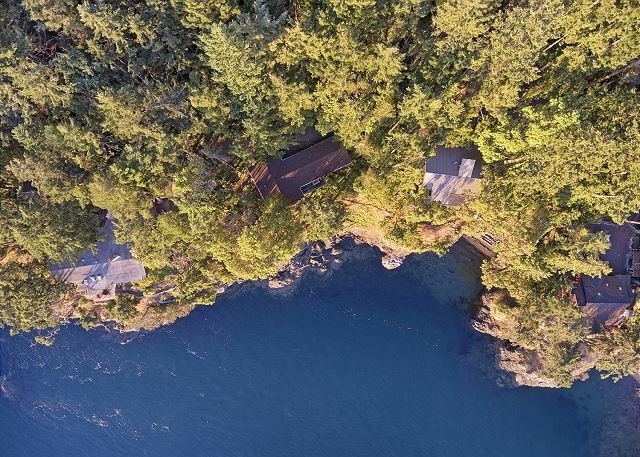 the house is located on a highbank, no access waterfront. 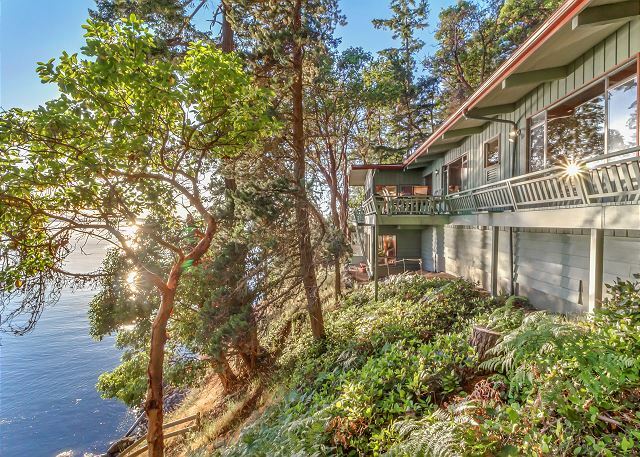 AMAZING NEW LISTING! Westside of San Juan Island!! Whale View Haven! 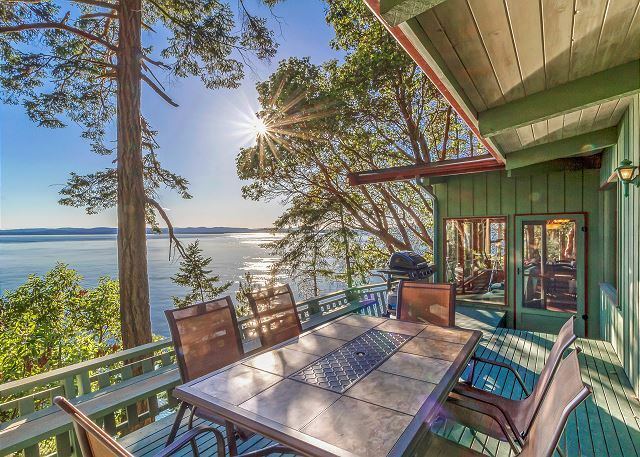 This newly remodeled home located on the Westside of San Juan Island is the perfect getaway for groups or couples wanting to relax and enjoy what the island has to offer. 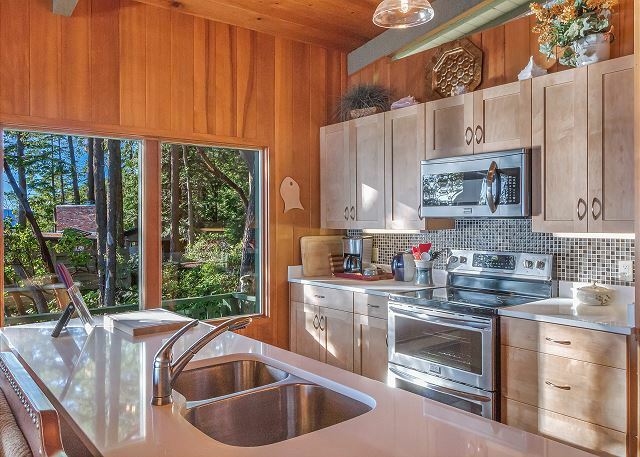 The 3 bedroom, 2 bathroom home located near Smugglers Cove is the perfect respite for your island vacation. 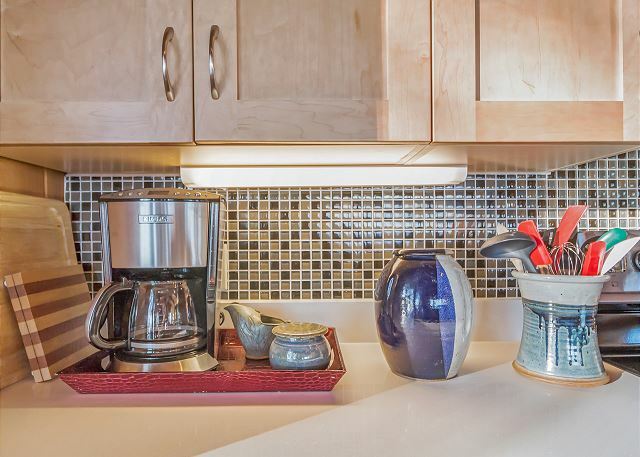 The newly renovated gourmet kitchen boasts 2 ovens, stone counter tops, stainless steel refrigerator and fully stocked cookware. 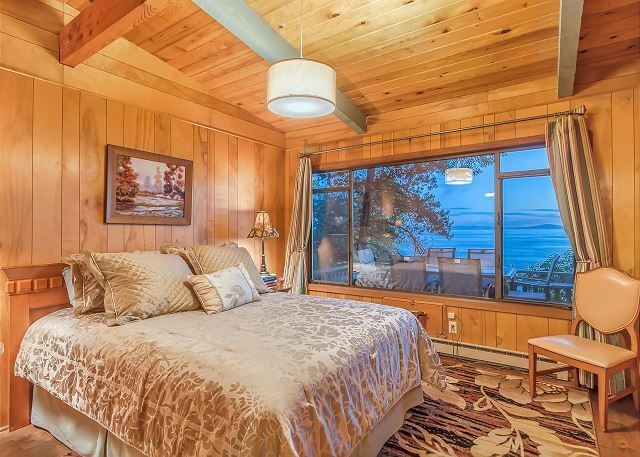 The master bedroom located on the main floor has a brand new king sized bed and a grand view of the water. 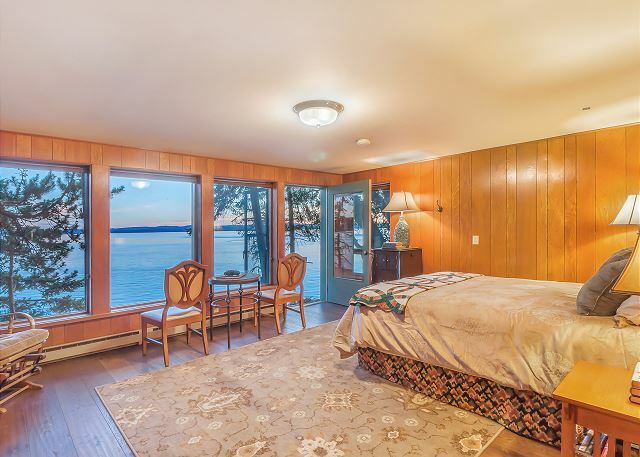 The main floor queen bedroom also has a view of the water. 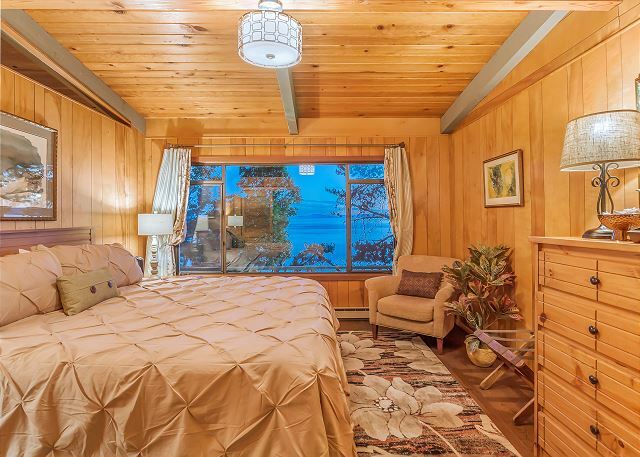 Both of these bedrooms share a full bath. 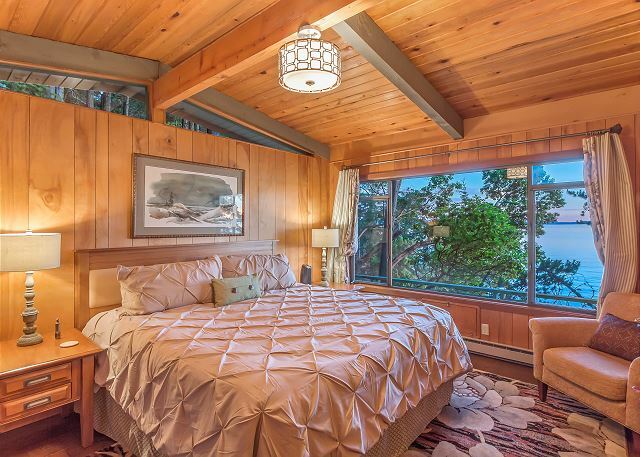 Downstairs holds a nicely appointed and private queen bedroom with ensuite bathroom. A perfect getaway for a few couples or small family with older children. 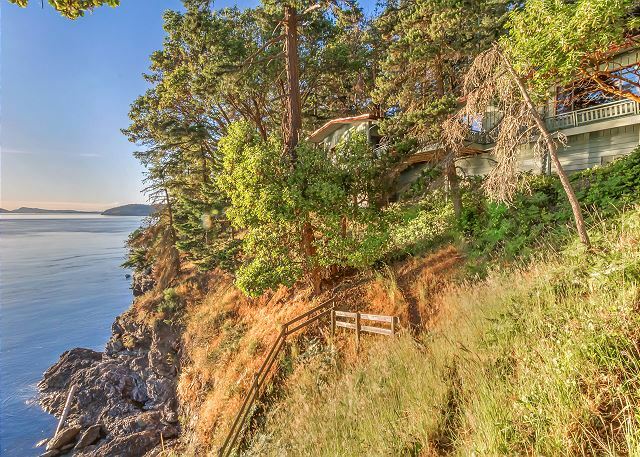 Families with small children should use caution with this high bank waterfront. ***For safety reasons the wood burning stove is not available for guest use. Beautiful house to relax at. Stunning water view. 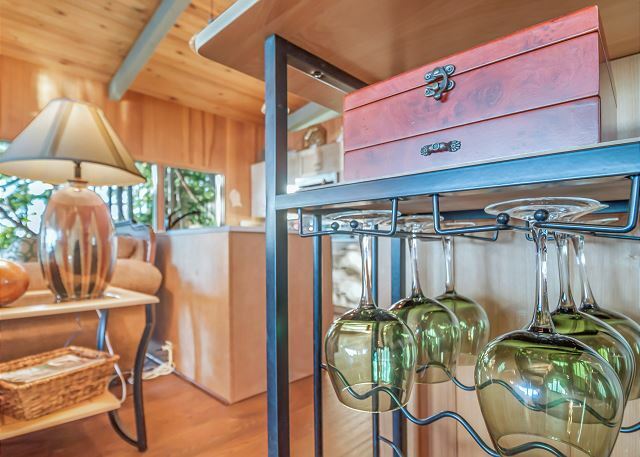 This house has everything we needed and more ( loved the monoscope ). We enjoyed the morning visits from the deer along with all the eagles other birds and an owl. We also saw a pod of 5 orcas swim by along with 20 boats following them, lol. 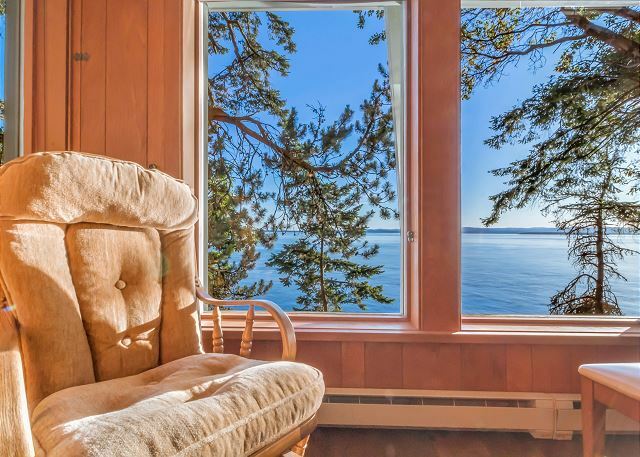 This is the perfect location for a beautiful view and relaxation. It is located on the the west side, away from the hussle and bussle of the harbor area. Breakfast on the patio in the AM and Wine in the PM. The house was beautifully furnished and well supplied with spices and basic cooking needs. I was able to walk every morning and enjoy the trees and shade. We could not ask for more. The pictures, while they seem to be “painted”, are a very accurate representation of the cabin! The view is wonderful!! 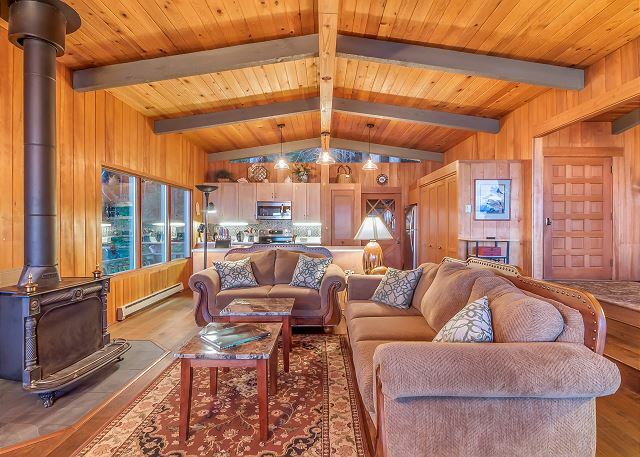 This is a 1960ish cabin that has been completely overhauled in the inside. 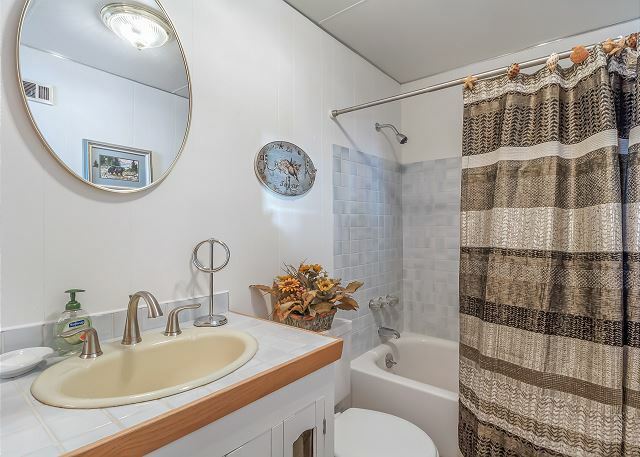 Updated kitchen and baths newer furniture, comfortable bedding and linens! It really was a wonderful stay and worth every penny.!! 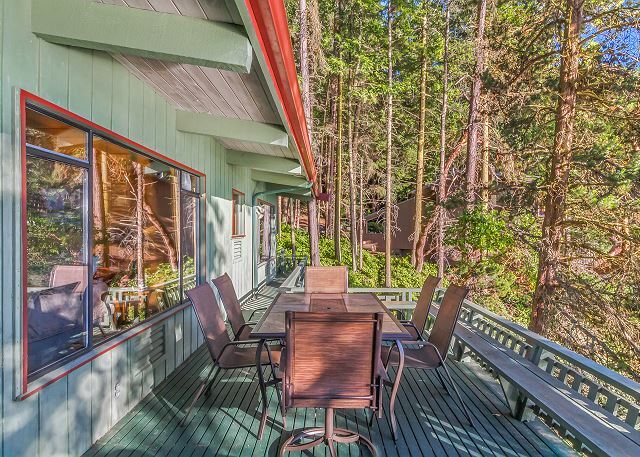 The home is located on a very private lot in a secluded neighborhood road. During the time we were there, there were very few people around so it felt like we were really remote. There is no access to the water at this lot and you can’t use the wood stove (while u understand, it sure would have been nice on those cooler evenings)...only 15-20 mins to Friday harbor and 10-15 to Roche..
We did not see any whales while we were there but it was a fantastic view. A couple of notes to consider, the main floor shower is hard to figure out and the steps down to the lower level BR and laundry are extremely slick when wearing socks (2 of us fell- not bad but those wood floors sure are well polished!! 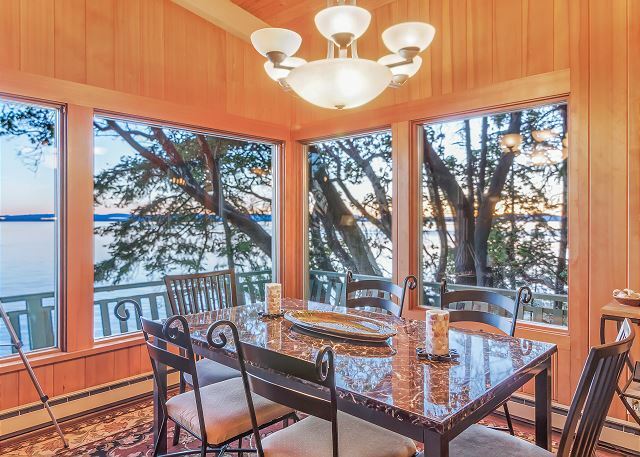 Nice Westside home that you can sit and watch the sunset and whales go by. House was clean and well stocked for our extended vacation. 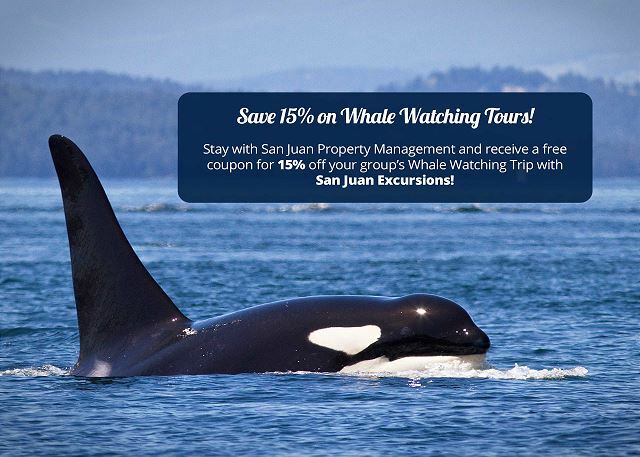 We saw Orcas the first day, along with a number of times during our stay. There was a pair of eagles that perched on the neighbor's trees each day, which was awesome! And a doe and her two young fawns graced our yard one afternoon, along with a daily visit from the numerous Island deer. We also saw a pair of otters, daily harbor porpoise, stunning birds at the bird feeder and sunsets that were breathtaking!! House was cozy and inviting. Two rooms upstairs with a shared bath, a kingsize bed in one which is nice. 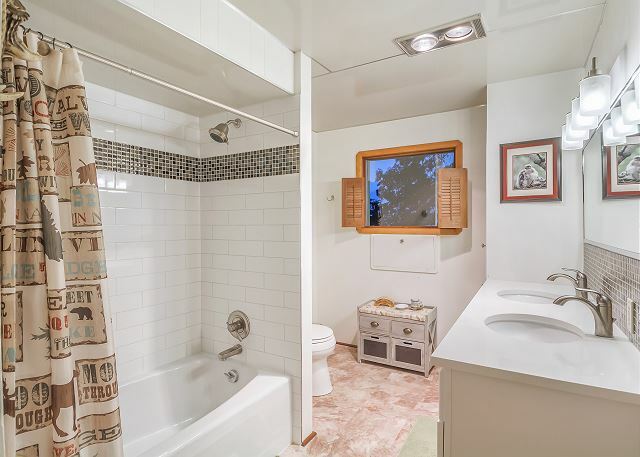 Two smaller rooms downstairs with a shared bath. Bedrooms do not have blackout curtains so bring an eye mask if light bothers you. 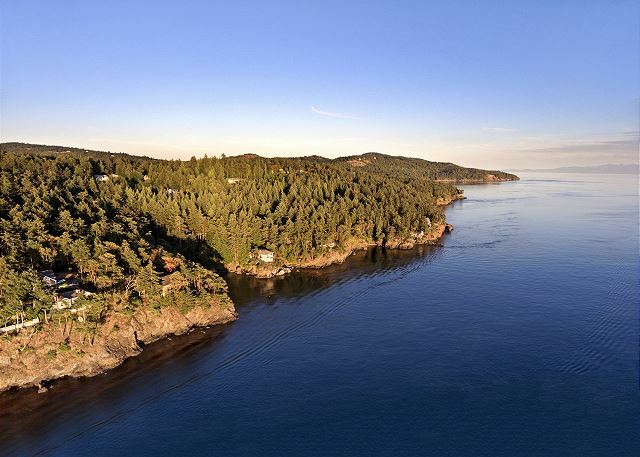 Location was great, near Roche Harbor and Lime Kiln Park and not too far from Friday Harbor. We hope to make it a yearly visit. You can't beat the view and it lived up to its name-Whale View Haven!! 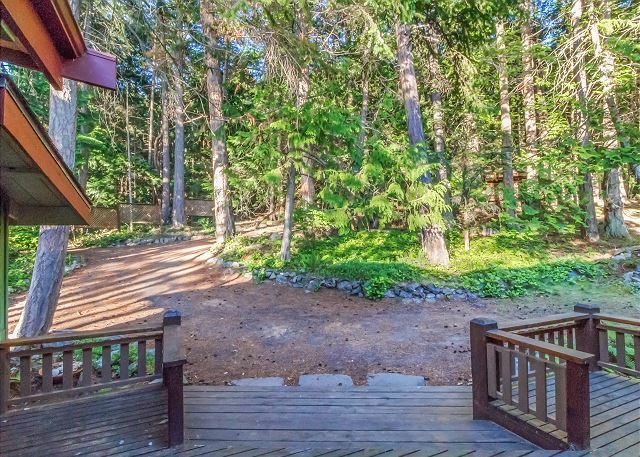 Great location (about mid island), and a lovely landing point for activities in both harbors. Fabulous weekend! Lovely house, extraordinary views, wonderful experience! We had a really great experience at this rental. The house was clean and comfortable. We really enjoyed spending a long weekend there. The sunsets are so beautiful here. We had family from out of town visiting and this was the perfect trip to take them on. The kitchen had everything we needed and it was so organized. The management company was available at all times for any questions. We also really enjoyed grilling on the deck. Had a wonderful time. Will come back. 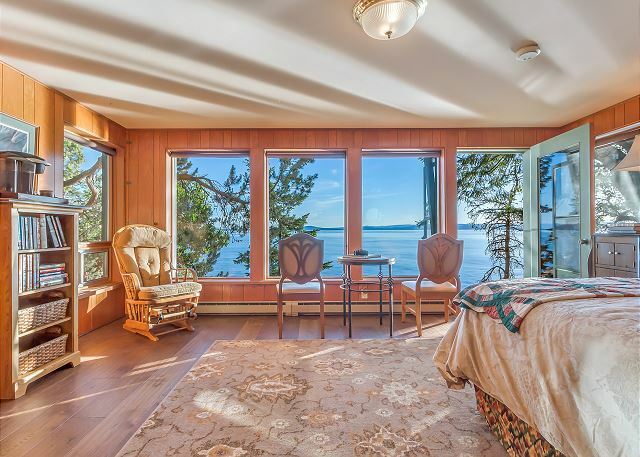 Gorgeous home with stunning views from every room. Very comfortable and well-appointed. We thought the pictures might be too good to be true, but they were spot-on. The home really is that beautiful! Our only complaint was a shortage of bath towels. Other than that, our stay was perfect. 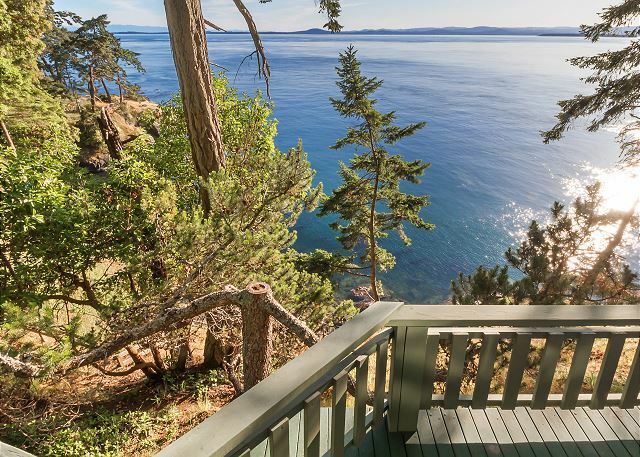 Whale View Haven is Paradise. 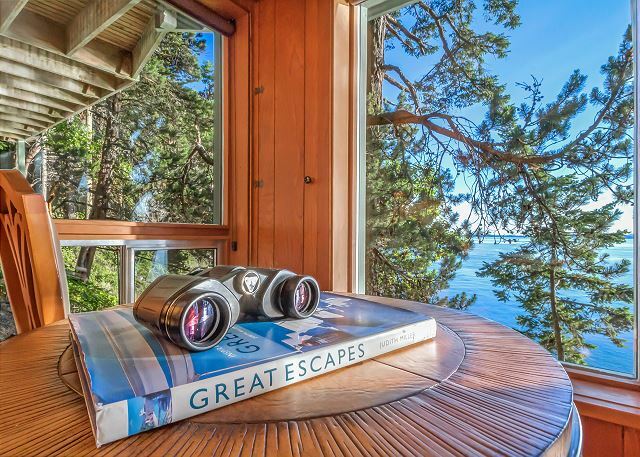 Whale View is an amazing getaway! 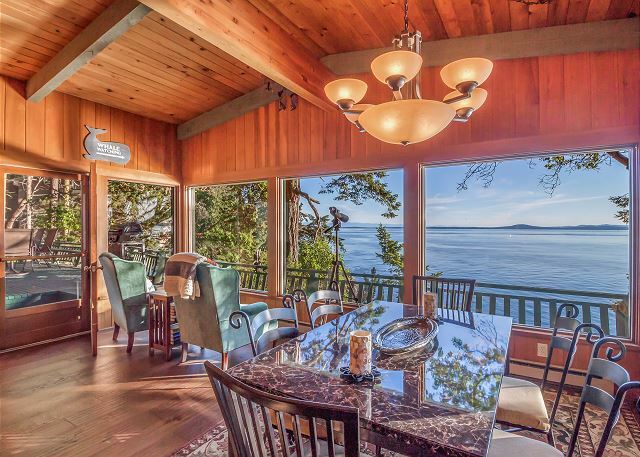 Beautiful views right on the water. The place is clean, comfortable and very enjoyable. Love watching the boats go by and dolphins dancing. There were deer all around the house too. Great place to reconnect to what matters and leave recharged! Hope to return. We had the most wonderful stay here this past memorial day. The view from the house was absolutely incredible (we saw orcas!). 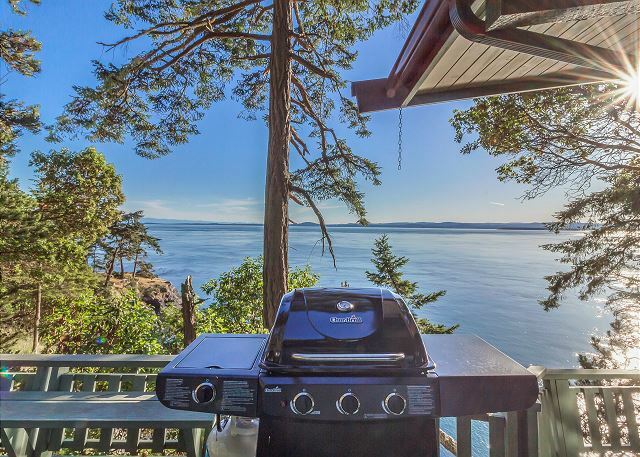 The deck is perfect for hanging out and grilling while taking in the view. We also went kayaking from Snug harbor which was about a 20 minute walk. Super convenient. Can't wait to go back! 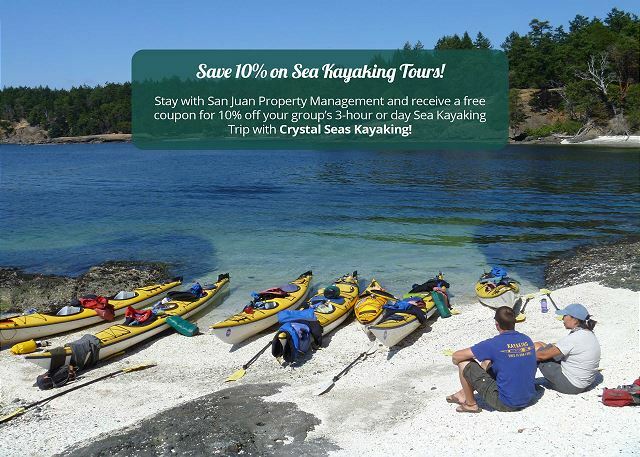 Wonderful stay on San Juan Island! Our family had a wonderful time staying at this cabin over the weekend. We saw whales, seals swimming and many birds coming to visit at the bird feeder. ?it was truly a magical place. One of our sons enjoyed looking through the telescope at all the passing freighters (far in the distance) and recording their names in his book. We loved the quiet natural quality of the location. Cabin was wonderful. Best views of the whales! 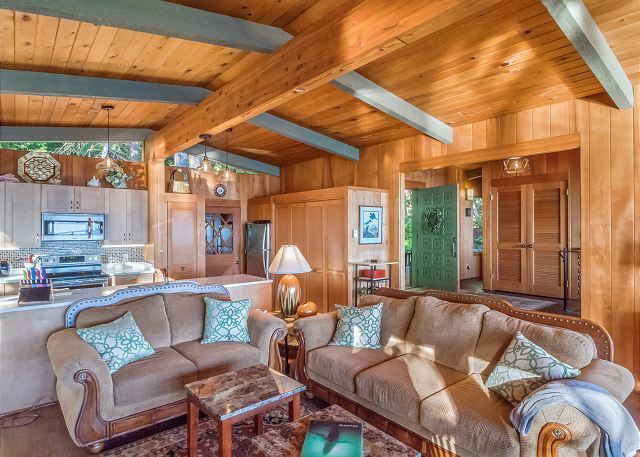 This property is so lovely. 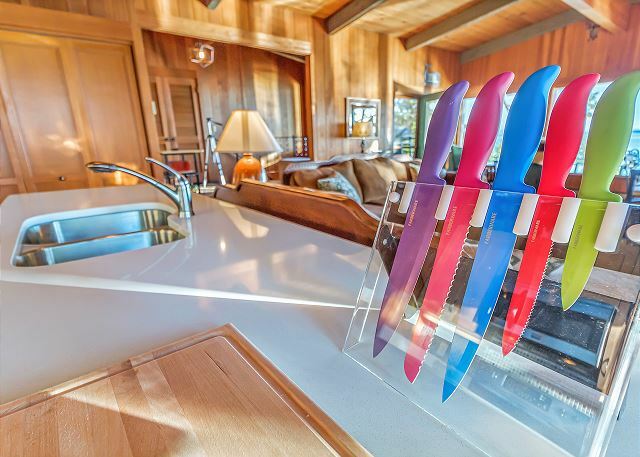 The owners have thought of everything one could possibly need for a "home away from home". The views were spectacular and we saw Orca everyday. I have stayed at many west side properties over the last 6 years and this was by far one of the nicest. 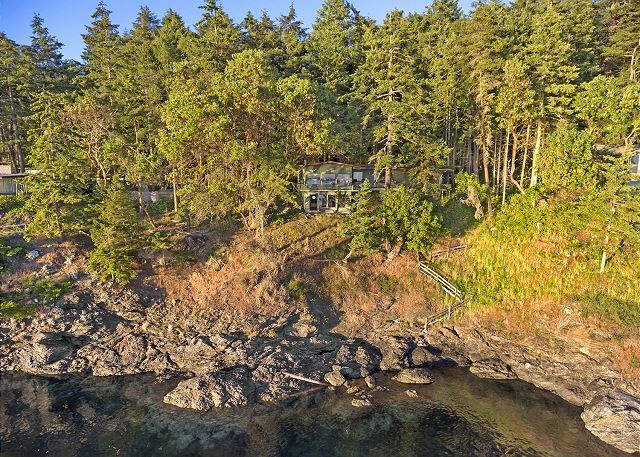 All 6 people in the house completely fell in love with this house and with the San Juan islands! Very peaceful location. Yes it's not in town, but it's a 15-20 minute drive with gorgeous views, so I didn't view the distance as a downside. The house itself is modest, comfortable, and clean. The view is absolutely beautiful. We saw at least 5 orcas while eating our breakfast on the patio. At night, it is far away from everything that you can stargaze for fun. The pictures on the site don't do the view justice! What a gem! Perfect....and there are whales galore! The moment we stepped through the door, we fell in love. This is the 4th place we've rented over the past 6 years, and we love it soooo much. The view is to die for. Whales a plenty just before sunset. Fantastic details everywhere. Private beach a short walk down the road. The very recent remodel thought of everything. Just don't rent it when we want it for next year!!!! Oh, the only thing missing was a teapot for boiling water, but the two coffee makers made up for that.